Red Tiger Gaming is a new online software developer that’s starting to roll out games to some of the best pokies sites on the web. You can try Red Tiger pokies for free or real money at Slots Million, or discover more about the brand and its top pokies games below. Red Tiger Gaming was founded in 2014 by a group of individuals with vast experience in the online casino industry. Operating out of the Isle of Man, the Red Tiger team has a proven track record of casino game development around Europe and Asia, with the reputation fast spreading to the rest of the globe. The game development team includes graphic designers, software developers, psychologists, mathematicians, audio engineers, gambling experts and dedicated account managers, all working together to create games that constantly enhance the online player experience. 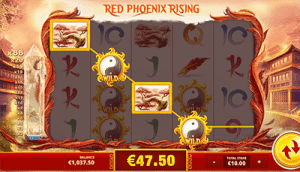 Red Phoenix Rising – Red Phoenix Rising uses a soft, sophisticated Chinese theme with beautiful oriental style paintings for symbols. The game is absolutely seeped in red, which is considered incredibly lucky in Chinese culture, so if you’re on the superstitious side this game will definitely fuel your fortunate vibes. It features five-reels and 40 fixed paylines, and includes multiple bonus features like the high paying yin-yang wild symbol, free spins with huge multipliers, and the Magic Crystal bonus which can provide a huge boost to your winnings. Lucky Wizard – Wizard and leprechaun themed pokies are pretty common at online casinos, with many developers using the luck of the Irish to entice players towards their games. 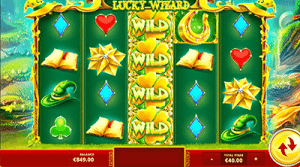 Lucky Wizard is Red Tiger’s take on that, offering a very green pokies game filled with lucky symbols like golden four leaf clovers, horseshoes, spell books and wizard hats. The base game itself is a little on the lacklustre side, but the bonus features really kick it up a notch. Lucky Wizard features a Lucky Reels bonus, where reels contain only the higher paying symbols for big wins, a Lucky Swap bonus where you can swap lower paying symbols for higher ones, a Lucky Nudge bonus that nudges a random number of reels for big wins and a Lucky Bonus symbol that triggers a random win. Fortune Fest – Red Tiger Gaming certainly let it be known that they’re specifically catering to an Asian audience, with many of their games featuring Asian iconography and plenty of red, red, red. 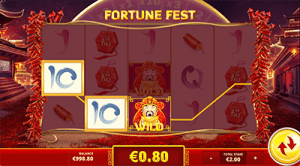 Fortune Fest uses a similar theme to Red Phoenix Rising, offering a five-reel video pokies game that’s absolutely drenched in red, with reels bordered by red fireworks and the background featuring dimly lit alleys seeped with red light. This game offers 10 fixed paylines, with a minimum bet of $0.20 and a maximum bet capped at $60.00. There are multiple bonus features, including free spins, a symbol that awards extra bonus spins and multipliers, and most notably the Pick Win feature where you can instantly win up to X88 your current wager. 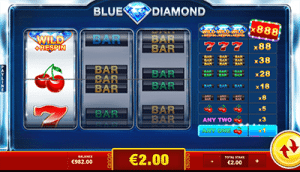 Blue Diamond – Blue Diamond is Red Tiger’s take on a classic three-reel pokies game, and while these older games aren’t up everyone’s alley, those who do like the more simplistic, nostalgic slot games will get a real kick out of Blue Diamond. The game uses classic slot symbols like lucky sevens, cherries and diamonds, with the pay table clearly set out against the side of the reels so you always know exactly what you stand to win during each spin. Get three of the blue diamond symbols and you’ll score the jackpot of 888 times your wager. Red Tiger Gaming is still solidifying its place in the online casino market, with fierce competition from leading, well established brands like NetEnt, BetSoft and Microgaming. However, with the impressive collection of pokies available and the solid reputation the brand has already managed to build for itself in a short amount of time, we imagine it won’t be long before Red Tiger Gaming becomes a more recognisable slot name. Red Tiger pokies have just been added to Slots Million’s huge collection of online pokies, which is a testament to the growing success of this gaming studio and a great sign of things to come. Sign up to play Red Tiger Gaming pokies at Slots Million and claim a welcome bonus of up to $100 when depositing real money for the first time. No software is needed to be downloaded, simply play games for real money directly over your Web browser.